A word of exhortation is needed to my fellow ruling and teaching elders: What is one of our foremost duties as elders? It is to protect God’s precious sheep from the wolves in sheep’s clothing that will devour the flock if they could. … Do I lump all those together as wolves who are not advocating a view of creation as presented in our Confessional Standards? Not exactly, some are far worse than others. … Those that I am really addressing are those who do advocate an evolutionary view, who do believe that man did evolve from lower forms of life, who do teach that God used this means to “create.” These men are the ones who must be silenced; they are disturbing families. In obeying Jude 3, we elders must earnestly contend for the Faith once for all delivered to the saints. This is my purpose (5-6). Pastor Otis begins his book by considering what Scripture teaches regarding creation, creation days, and the chronologies. From there he moves on to a history of Darwin and evolutionary thought. Lastly, he spends several chapters on what he calls “Compromisers.” He takes time throughout those chapters to address specific concerns about the teachings of specific organizations and individuals. I was once an agnostic and an evolutionist in high school, though not a very informed evolutionist. I was a conscious unbeliever. It was God’s sovereign grace that saved me when I was a freshman in college. Upon my conversion to Christ, no one had to inform me that there was a problem with maintaining evolutionary views with my Christian faith. I immediately sensed this, even though I was severely biblically illiterate. I did not grow up in the church; I never read a Bible; I didn’t even understand what chapter and verse in the Bible meant. However, when the power of the Holy Spirit regenerated my deadened soul, and as the Spirit illumined my mind with biblical truth as I faithfully read my Bible, I knew that there was no reconciling of evolution with the Bible’s account of creation (280). Why does Pastor Otis call theistic evolution a sinful compromise? It undermines the Bible’s credibility (281-284). The infallible rule of interpretation of scripture is the scripture itself; and therefore, when there is a question about the true and full sense of any scripture, (which is not manifold, but one) it must be searched and known by other places that speak more clearly (WCF, I: 9). Theistic evolutionists want to take God fashioning Adam from the dust and Eve from Adam’s rib as a literary device, not to be taken at face value; in other words, not in the plain sense of the words which is an important hermeneutical principle. Apparently, we can get quite “creative” (pun intended) in how we interpret Genesis 1:26 and 2:7, 21. The evolutionists, even “Christian” evolutionists say that we need the testimony of modern biology, i.e. Darwinism, to properly interpret these texts. Really? And why do we need them? And why must we NOT take the plain meaning of the words of Genesis? And why must we say that the terms “from dust” and “from Adam’s rib” must obviously mean biological evolution from single cell organisms to man himself?(15). The plain meaning of “day” and “dust” are simply “day” and “dust.” Two things that are familiar to all. A word study for the word “yom” in the Old Testament reveals that the preponderant use of this term demands that we understand it to be a literal twenty-four hour period of time. The word occurs 1,704 times in the Old Testament, and the overwhelming usage has to do with a normal day from morning to evening. After all, what did The Westminster Confession say is the surest hermeneutical principle – Scripture interprets Scripture (23). This is one of, if not the most powerful argument, in supporting the days of creation in being normal days. Inspired Moses qualifies the six creative days with this all important phrase – “evening and morning.” The obvious plain meaning is: This is a typical day since each day is viewed as “evening and morning” the first day, evening and morning the second day, etc. When we leave out Darwinian presuppositions, then the text is rather obvious (24). Consider this overwhelming evidence. In the 119 cases in Moses’ writings where the Hebrew word “yom” (day) stands in conjunction with a numerical adjective, such as first, second, third, it almost always means a literal day. The same is true of the 537 usages outside of the Pentateuch (24). This has to be one of the most powerful biblical proofs that the days of creation were literal days. God specifically patterns man’s work week after his own original creational work week. Man’s work week is expressly tied to God’s (25). What about the passage from 2 Peter 3:8-9? Doesn’t it say there that a day is like a thousand years and a thousand years like a day? You probably have heard that we cannot adopt a view that the biblical chronologies are accurate history because there must be gaps in the genealogies. Guess what? There are no time gaps in the chronology of the Bible. … The numbers add up precisely from one representative head to another representative head. It does not matter about the other sons and daughters as long as there is precision from one generational head to another (30-31). [T]he problem with Christianity and evolution, including theistic evolution, is that we do not have a clash between faith and science but a clash of faith versus faith, that is, we have a clash of worldviews (34). The evolutionist claims that he is neutral, that he is unbiased, and that he is not religious. Such a claim is ludicrous. All views of the origin of life are fundamentally religious (37). Evolutionary thinking is inescapably religious at its very foundation. It is wholly untrue that the issue is science vs. faith. No, it is one faith in opposition to another faith; it is a clash of worldviews (38-39). Next Pastor Otis gives a brief history of Charles Darwin and the rise darwinian evolution. Charles Darwin was not the first to discuss evolution processes or to desire an explanation for the origin of universe and life that is not dependent on God. In fact, Darwin’s grandfather, Erasmus Darwin, wrote a book advocating spontaneous generation and millions of years of biological development. But it wasn’t until Charles Darwin wrote his Origins of Species that evolution began to be widely accepted as a theory (63). It is evident that Darwin had lost his faith in Christianity and the miraculous before he formulated his hypothesis of evolution. This does not say he had no evolutionary ideas before this, but he still lost his faith in creation before he set out to discover how life and its varied forms would originate by the working of natural laws. Evolution came in with great force to fill the void left by the loss of his faith in God the creator (53). [P]lease note the process into unbelief for Darwin. It was to doubt the historicity of Genesis, then doubt miracles, adopt an old earth view, and then accept evolutionary views (54). If you can realize how insufferably the world was oppressed by the notion that everything that happened was an arbitrary personal act of an arbitrary personal God of dangerous, jealous and cruel personal character, you will understand how the world jumped at Darwin (73). Evolution provides the scientific and moral (or lack of morality) rationale for many to propagate evil. The field of eugenics is the applied science of improving the genetic composition of the human population. It seeks to achieve this goal through both encouraging reproduction among fit individuals and discouraging breeding among unfit populations. It has an evolutionary basis, and the means used to achieve this goal is population control by abortion and sterilization. But who decides who is unfit and unworthy to reproduce? Those who have the power to subjugate others! (74). As I conclude this chapter, we should realize that evolutionists themselves have recognized the great problem with Darwinism. The view of macroevolution cannot be scientifically verified. Darwin couldn’t do it and neither have any others after him. Living organisms and the fossil record do not give scientific evidence for macroevolution, but it does point to special creation. Hence, evolution is no scientific fact; it is outside the parameters of operational science. It is not a fact; science has not spoken definitively in the factuality of macroevolution; evolution is a worldview, a religious faith held as tenaciously as the most ardent Christian holds to his belief in the Bible (102). The men and organizations that I will mention have compromised the Faith in my opinion. For some, the compromise is greater than others. Some obviously do not think their views are compromising positions; they think they are being “humble,” “open-minded,” and “diverse,” respecting the differing opinions of honorable men. Grant it, some of those who advocate the value of diverse beliefs and diverse interpretations of Scripture are sincere in their views. The problem is: Men can be sincerely wrong, and they can be responsible for leading the visible church of the Lord Jesus into great peril (109-110). I will give a very brief synopsis for each of the “Compromisers,” as Pastor Otis calls them. BioLogos is a foundation that touts itself as an evangelical organization that thinks theistic evolution is a true understanding of the origins of the universe and man. I consider this organization as one of the greatest threats to today’s visible church (110). What is BioLogos’ View on Scientific Evidence of the First Humans? The fossil record shows a gradual transition over 5 million years ago from chimpanzee-size creatures to hominids with larger brains who walked on two legs. Genetics also tells us that the human population today descended from more than two people. Evolution happens not to individuals but to populations, and the amount of genetic diversity in the gene pool today suggests that the human population was never smaller than several thousand individuals (114). Genetic evidence shows that humans descended from a group of several thousand individuals who lived about 150,000 years ago. Humans appear very late in the history of life. The fossil record clearly shows that many creatures died before humans appeared. This appears to conflict with Bible passages which describe death as a punishment for human sinfulness. However, the curse of Genesis 3 was that Adam and Eve, not the animals, should die for their disobedience. Therefore, animal death before the Fall is compatible with Christian doctrine (118). He allows his name to be used on BioLogos’ home page as a reference for the purpose of encouraging others to see the great value of this foundation, a foundation which openly embraces theistic evolution. He has allowed his church to sponsor the workshops of BioLogos. He has allowed Dr. Ron Choong to teach in his church, who has adopted views that not only embrace theistic evolution but which assault other precious truths of the biblical doctrine of creation. He accepts evolution as a plausible explanation of the origin of all life, including man (137). One of the men who is listed as a missionary and member of Metro New York Presbytery (PCA) is Dr. Ron Choong, who has taught classes in Keller’s church. Dr. Choong founded the New York based “Academy of Christian Thought,“ and he has written a book titled, Project Timothy: The New Testament You Thought You Knew. … Ron Choong’s views of Scripture, the relationship between Scripture and science, and man’s evolution is most illuminating and disturbing, especially since he is an ordained elder within the PCA (138-139). The Bible’s reliability cannot be affirmed by its own historicity, literary, or theological components. Modern science corrects the historical and scientific inaccuracies in the Bible. 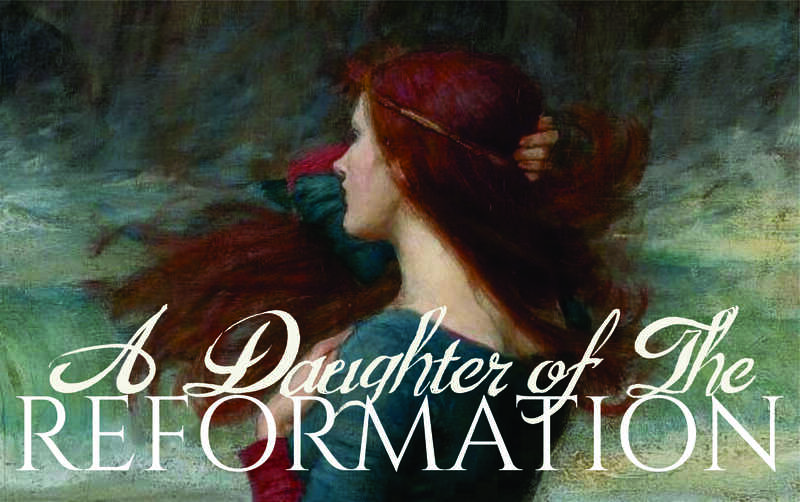 Each generation with new discoveries need to revise their theological understanding. The Bible is silent on the mechanism of creation. The first eleven chapters of Genesis are not to be understood literally or even historically. Special creation is biologically untenable. Adam may or may not have been a single person, but he could be a representative of a community of hominids (ape-like creatures). Regardless of the singular or communal view of Adam, he was a hominid, having evolved from lower forms of life. God’s image conferred upon an existing hominid makes this hominid the biblical Adam. God’s conferring of His image upon Adam and Eve as existing hominids was done after they ate the forbidden fruit, not before. The image of God in man is the acquisition of moral knowledge, namely fear and guilt. Original sin as The Westminster Standards describe man’s fall is not true. The Westminster Standards are archaic, needing revision. They are an obstacle to fruitful science and theological conversation. Adam was not created with an immortal soul. Adam was not created righteous. Adam was not created with the law of God written on his heart. Adam’s sin was not a violation of God’s moral law. Adam and Eve were made loaded with sinful desires. Adam cannot be blamed for an existence of sin per se (158-159). All my views about Adam and Eve have been published for more than 10 years and Redeemer as a church as well as Dr Keller as a minister have never had any objections to my non-doctrinal interpretations. This means that while I hold to a certain view of who Adam might mean, no church doctrine in the history of the church has ever made this a litmus test of faith. No one should get their knickers in a twist over whether Adam was a collective or a singularity (151). At the 2011 meeting of Metro New York Presbytery, one presbyter suggested that presbytery look into the teachings of Dr. Choong. Did this happen? Was he disciplined by this PCA presbytery? No! The presbytery refused to look into it with strong vocal opposition to such a thing, and in fact, a request was made and granted that the idea of looking into Dr. Choong’s teachings not be recorded in the minutes lest his name be illegitimately besmirched (160). I believe that those who gave permission to Dr. Davidson to hold this seminar at the PCA 2012 General Assembly did a great disservice to their denomination and opened the door for further deterioration. Surely, someone knew of Dr. Davidson’s position on evolution prior to the invite. 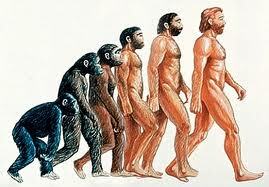 Surely, someone knew of his avowed commitment to viewing man as having descended from ape like creatures (163). For those who are not familiar with Dr. Davidson’s work, Pastor Otis addresses both Dr. Davidson’s seminar at the General Assembly as well as his book, When Faith and Science Collide. The question was: Did he believe that Adam was specially created and directly created by God from the dust, or if Adam was a hominid adopted by God? … In his answer, he said he did not see a difference between an Adam specially created by God from the dust and an Adam as a hominid adopted by God and given a soul. Either way, Adam was the first human and father of mankind. In other words, Dr. Davidson admitted to being an evolutionist, who thinks that Adam and Eve were descended from ape like creatures (164). Davidson’s bias towards evolutionary views is quite explicit. He says that science teaches us that “life began on earth 3.5 billion years ago.” Even though scientists are not cognizant of how life began from non living material and how everything evolved from single cell organisms to man, Davidson thinks there is a plausible synthesis with Scripture. This synthesis is: the Bible says that God commanded the earth to bring forth and it did; science says that man was formed from the same dust of the earth as all other creatures. In other words, science provides us with the accurate understanding of the mechanism of creation. Again, it is not biblical exegesis that is in the “driver’s seat;” it is the scientific views often postulated by unbelieving men (169). There is no question of Dr. Davidson’s commitment to macroevolution, meaning that all life forms evolved from simple, single celled organisms throughout millions of years. He accepts all of the presuppositions and arguments of the evolutionists in terms of their so called “scientific” findings. Davidson wants to maintain the science of evolution over the non-Christian agnostic and atheistic views held by many evolutionists. In other words, Davidson wants to accept the evolutionist’s conclusions but within the framework of God doing His creative work through the mechanism of evolution (174-175). His book’s title is not intended to deny the historicity of Adam. Collins says that he affirms Adam’s historicity, but he does so in such a way as to definitely allow for the possibility of non- traditional views to be considered as acceptable (211). Here is the crux of the matter. For Collins, it is not really necessary for us to believe that God literally made Adam from mere dust on the sixth day, which is a twenty-four hour period. Literal trees or a talking snake are not necessary for us to get the point. All that matters is the worldview that from Adam sin came into the world. While Collins may be distancing himself from the conclusions of Ron Choong and Peter Enns, he will still consider the legitimacy of an evolutionary view of man’s origin (220-221). In conclusion about the views of Jack Collins, we can say rather conclusively that he has admitted to being a type of evolutionist; he just isn’t in the camp of being one who adopts the philosophy of evolution. His latest book argues for a type of modified monogenesis for Adam’s origin. It is a revision to the traditional view, but it falls within the parameters of sound reasoning nonetheless. Are we to be encouraged by this? Absolutely not! Covenant Seminary has an evolutionist on its faculty. It is wholly misleading to the public, and probably to its supporters for the Seminary. So, when Covenant Seminary says that Jack Collins does not subscribe to a Darwinian or a Neo-Darwinian view of evolution, it is totally misleading. And when the official seminary statement states that Dr. Collins may allow for some differences of opinion on some of the details, it fails to specify those details that Collins makes known in his books – he subscribes to a form of evolution, and he is very critical of young earth creationists and the whole field of “creation science” (250). Lastly, Pastor Otis addresses Dr. Peter Enns, formerly of Westminster Theological Seminary and also formerly a Senior Fellow at BioLogos. Dr. Enns has written several books and essays including: The Evolution of Adam: What the Bible Does and Does not Say About Human Origins. Peter Enns is the last person that I will analyze simply because he probably best typifies what can happen once one begins the downward spiral on adopting an evolutionary view to Scripture. This does not mean that all theistic evolutionists will end up theologically where Enns has, but it does show how one can easily end up with views purported by Enns. I would say that Enns’ views are the logical outcome of an evolutionary perspective, and the result when one views science as the best interpreter of Scripture (251). Evolution is a serious challenge to how Christians have traditionally understood at least three central issues of the faith: the origin of humanity, of sin, and of death… sin and death are universal realities, the Christian tradition has generally attributed the cause to Adam. But evolution removes that cause as Paul understood it and thus leaves open the questions of where sin and death have come from. More than that, the very nature of what sin is and why people die is turned on its head. Some characteristics that Christians have thought of as sinful – for example, in an evolutionary scheme the aggression and dominance associated with “survival of the fittest“ and sexual promiscuity to perpetuate one’s gene pool – are understood as means of ensuring survival. Likewise, death is not the enemy to be defeated … death is not the unnatural state introduced by a disobedient couple in a primordial garden. Actually, it is the means that promotes the continued evolution of life on this planet and even ensures workable population numbers. Death may hurt, but it is evolution’s ally (258-259). Conservative men in the PCA ought to be very concerned about the present trend in their denomination. The debate over the doctrine of creation and the place that evolution has in it is nothing new. They have the dismal track record of the PCUS to observe and serve as a warning. Sadly, the warning is going unheeded (267). The 41st General Assembly of the Presbyterian Church in America begins today in Greenville, South Carolina. Already several of the committees have been meeting. The assembly officially opens tonight with a worship service and then the election of the moderator. Last year’s moderator, Dr. Mike Ross will speak tonight at the worship service. There are also a number of seminars starting today. Dr. Davidson explained that his purpose in the seminar was to equip the pastors and elders so that they can better minister to their congregations. According to Dr. Davidson, there are many in the church who are taught that the evidence for an old earth is weak and that to be faithful to Christ one must hold to a young earth. This can become a stumbling block to the faith for many, especially young believers, who grow up and are then challenged when they discover that the evidence for an old earth is very strong. The evidence that Dr. Davidson presented in the seminar is designed to help prevent this potential crisis of faith. Critics of the Bible have often attempted to use the methods of science to persuade others that the Bible is not trustworthy. We are told that the universe is a cosmic accident—a “big bang” followed by billions of years of evolutionary processes. However, these attempts to discredit biblical creation do not stand up to rational scrutiny. The science of astronomy confirms that the Bible is true. In this highly visual presentation, astrophysicist Dr. Jason Lisle shows powerful scientific evidence that confirms that our universe is not an accident, but has been designed and created by God as the Bible teaches in Genesis. The Christian can be encouraged that the Word of God is absolutely trustworthy on all matters. This includes not only matters of theology and morality, but matters of science and history as well. I’m sure Dr. Lisle’s seminar will be worth attending. I encourage you, if you’re in Greenville, to stop by the ICR booth in the exhibit hall. A full list of the seminars and their descriptions is available here. A printable schedule is available here. In light of a number of articles lately on a potential split in the PCA and given that some PCA churches have already decided to leave for other denominations, I thought I would like to repost an article I wrote a year ago. Recently I was talking with others in my denomination about the challenges we face as a denomination. There is much to be proud of as a denomination. There are many, many godly pastors and elders who are leading their flocks and preaching the gospel. Many people are being discipled and growing in grace. Children are being taught the catechism and learning to love the Word. These excellent things. But there are great challenges that we face as a denomination. Some of the greatest challenges are doctrinal ones. Federal Vision, the New Perspective on Paul, egalitarianism, theistic evolution, the historicity of Adam, and the inerrancy of Scripture are all issues that must be discussed. As I considered this, a thought came to me. I am a southern Presbyterian. My family are southern Presbyterian back for many, many generations. We go all the way back to Scottish Presbyterians who came to South Carolina in the 1700s. In the 1970s, the PCA was formed when the southern conservatives broke off from the southern liberals. Of course, there was more to it than that, but that’s a good summary of events. Many people from all over the country have been drawn to the PCA because we are serious about upholding orthodoxy. While I’m not suggesting that anyone leave, I had a thought about the PCA and those who wish it were different. For those who wish the PCA were more liberal or more progressive on any number of issues, there are denominations that already are that way. For those who wish the PCA would adopt Federal vision teachings, there is a denomination that already does that. For those who wish the PCA would be more strict, there are denominations that would suit too. But what else is there for a southern Presbyterian? Where can I go? This is my denomination. At the PCA’s upcoming General Assembly, Dr. Gregg Davidson and Dr. Ken Wolgemuth of Solid Rock Lectures will be giving a seminar on what the science has to say on the age of the earth, “The PCA Creation Study Committee a Dozen Years Later: What Does Science Say Now?” Dr. Davidson and Dr. Wolgemuth are particularly concerned that relying on Young Earth Creationism has led to the acceptance of bad science and bad theology in our denomination. They are especially concerned about the negative impact denying the scientific consensus will have on our witness. Questions were raised about whether or not Dr. Davidson and Dr. Wolgemuth were just interested in the age of the earth, or if they are also proponents of evolution. Some quotes from the Solid Rock Lectures seem to indicate that this is likely, but many were hesitant to be to quick to judge. In doing some research, I discovered that Dr. Davidson, a member and teacher of a PCA church in Mississippi, has written a book on how to reconcile evolutionary science and Christianity. The approach honors scripture first, and addresses the strength of scientific evidence only after satisfying scriptural constraints. When applied to evolution and the age of the earth, the result reveals far more harmony than discord (back cover). So from the cover of the book, it appears that Dr. Davidson sees “far more harmony than discord” between evolution and Christianity. Dr. Davidson opens the book with the story of Carl the Scientist. Carl is not a believer but is curious about the Bible and faith. In the course of his research into the Bible he talks with Doug the Young Earth Creationist (YEC). Doug tells him that Genesis must be a literal account of creation and shares a YEC book with him that refutes evolution. Carl is dismayed by the bad science utilized by the YEC proponents. He decides that the god of Christianity must not be a god of truth (11-12). It is my conviction that much of the clash between the Bible and modern science is not only unnecessary, but harmful to the cause of Christ (13). The study of God’s natural creation, by virtue of its reflection of its Creator, will occasionally prove useful in discerning the best interpretation of scripture when more than one interpretation is plausible (14). It is my conviction that good science and good theology will never rest permanently at odds with one another. Apparent contradictions may arise, but ultimately God’s natural revelation (the material universe) will be found in agreement with his special revelation (scripture). There is a growing body of people who share this conviction who have been convinced that the scientific evidence for evolution and an old earth is unassailable (14). Question 1: Does the infallibility of scripture rest on a literal interpretation of the verses in question? Question 2: Does the science conflict with the intended message of the scripture? He spends some time, then, considering whether or not Genesis 1 and 2 must be taken literally. His answer is “no,” based on several problems he sees in the text itself (40-41). For example, Genesis 1 says that God created in six days, but Genesis 2:4 says “in the day that the LORD God made the earth and the heavens.” So, if we read Genesis literally we must believe simultaneously that God created everything in six days and also in just one day (40). He also mentions some apparent inconsistencies in the order of creation given in Genesis 1 and 2: Genesis 1 says animals were created before man, but Genesis 2 seems to say that man was created before the animals. And, how can there be light on Day 1 before the sun is created on Day 4? This is not a defensible argument, however, for it requires that God was dark prior to Day 1, and not omnipresent thereafter. Morning and evening without a sun would only be possible if God first turned himself on, and then fixed his position on one side of the earth(42). It did not, however, happen from inconsideration or by accident, that the light preceded the sun and the moon. To nothing are we more prone than to tie down the power of God to those instruments the agency of which he employs. The sun and moon supply us with light. And, according to our notions we so include this power to give light in them, that if they were taken away from the world, it would seem impossible for any light to remain. Therefore the Lord, by the very first order of creation, bears witness that he holds in his hand the light, which he is able to impart to us without the sun and moon. Adherence to a literal interpretation of Genesis 2:2 requires that God is not the author of these events [land formed by lava spills in Hawaii and growth in height of Himalayas] since he has rested from his creative efforts. Indeed, even you and I are not to be considered his creative handiwork (43). The Garden was a place of protection from an apparently less desirable existence outside. This is evident from the fact that the Garden had boundaries (why boundaries if all the earth was perfect for human habitation? ), and an angel was placed at the entrance after the curse to ensure they would not reenter (Gen 3:24). If thorns and thistles already existed outside the Garden, man was blessed with their absence until cast out. The curse was not the creation of thorns, but the exposure to thorns (44-45). Dr. Davidson concludes by answering his first question: Does the infallibility of scripture rest on a literal interpretation of the verses in question? [O]ne cannot reasonably maintain a strict literal interpretation of Genesis 1 and 2 and hold to an infallible view of scripture. The use of seven days in the creation account must be interpreted in a manner similar to the interpretation of the three sets of 14 generations in Matthew. A central message is conveyed through the identification of real people or events, and is illustrated with a memory tool where creation is divided into six days of work and ending in rest (46). Having concluded that the infallibility of scripture is best supported by a non-literal interpretation of Genesis 1 and 2, Dr. Davidson moves on to address his second question: Does the science conflict with the intended message of the scripture? This is not about the credibility of the scientific claims, but rather whether “current scientific understanding fits or clashes with scripture’s intended meaning” (51). Each scientific claim is compared with relevant Scripture verses and then a synthesis is suggested. Dr. Davidson starts with the origin of the universe. The Bible teaches that God created everything from nothing. Standard cosmology, the study of the origins of the universe, teaches that before the “Big Bang,” the pre-universe condition was a void. The synthesis, according to Dr. Davidson, is that standard cosmology is “remarkably Biblical” (53). There was nothing, and then there was something. According to Genesis, God commanded the earth to give rise to life. According to science, the earth gave rise to life. The parallel statements of creation are remarkable … (57). Materially, the Biblical account of man’s creation is no different from the creation of other life on earth. To create all life prior to man, God “commanded the earth to bring forth.” To create Adam, God “formed man from the dust of the ground.” According to scientific accounts, man was formed from the same earth-dust as all other creatures (61). Our first reaction may be that man is not like the animals. Man is unique and must have been specially created even if nothing else was. The concept that man might share a common origin with other life forms is an affront to our dignity and sense of value. One must ask, however, if the indignation comes from an understanding of Biblical truth, or simply from an inflated sense of self worth (62). But would God really create in such a prolonged manner, making small changes from one generation to the next and spinning off myriads of life forms, many destined for extinction? Is this consistent with God’s character? … If our creative nature is truly a reflection of God’s nature, then it is entirely consistent that God would start with a lump of clay (earth materials), and begin to form and shape life through myriad generations until he arrived at what he was ultimately after. This in no way suggests that all forms prior to man were mistakes or castoffs (62-63). [I]t is conceivable that the Eve and Adam of scripture are genuinely mitochondrial Eve and her mate, selected by God from a population of hominids and endowed with a soul (63-64,65). It makes more sense that material death existed from the start, but initially outside of man’s experience. … [T]he description of Adam and Eve’s stay and eviction from the Garden of Eden suggests that life outside the Garden had always been more harsh than life inside. … Thorns, thistles, and material death may have always existed beyond the Garden’s borders (70). Romans 8 does not say that the creation was subjected to futility by sin, but by God, perhaps from the very start of creation. The implication is not that God created the world flawed, but that it was created, from the very start, with a yearning to see the Messiah (emphasis original, 68). The idea that heaven is a return to creation as it was prior to sin is a human concept, not an undisputed scriptural concept. If Isaiah says the wolf and lion will eat grass and straw in heaven, it does not necessarily follow that they did so at the start of creation (69). It is presumptuous to dismiss material death before sin with the claim that God would not call such a world “good.” God’s ways are not our ways (71). If it is unsettling to think of God choosing one hominid from among a population to endow with a soul, it will likely be more so to consider that the children of Adam and Eve may have interacted with a species that looked and behaved in ways we would consider human, but were not human. The only response that can be offered is that God often operates in ways that mystify us. When we think we have God figured out, we will inevitably find we have been presumptuous (76). At the time of Cain’s banishment, he was the second [sic] child of the first humans in existence. Who else was there to fear? The most common explanation is that Adam and Eve had other children that populated the area into which Cain was to wander. … Indeed, Genesis 5:4 does say that Adam and Eve had other sons and daughters, but there is a serious timing problem. The first three sons of Adam and Eve are explicitly named. Cain and Abel were the first two, followed by Seth after the murder of Abel (77). In the Flood story of Genesis, the literal occurrence of an immense flood and the rescue of Noah and his family are not in question. The question is whether the description of the flood covering the whole earth must literally mean the entire planet, or if it can mean the entire area of human habitation and experience: the known earth (82). Though much evidence exists for floods of immense proportions in different places around the globe at different times during the history of the earth, no convincing evidence has been found that the entire world was immersed at one particular time (82). The likelihood that names were skipped in the lineage from Adam to Moses means that the ages included can only be used to set a minimum age on the creation (emphasis original, 85). According to Dr. Davidson, the Bible only teaches that the earth is at least 6,000 years old (85). Many argue that God has already answered the question of “how” and “in what order,” therefore any attempt to find natural explanations is evidence of a commitment to materialism, a direct denial of God. If the only plausible interpretation of the days of creation in Genesis was a literal one, this might be a fair claim. If the message of the creation days is authorship rather than process, however, then the search for natural explanations is nothing worse than an effort to see the details of God’s handiwork (88). As a science, evolution is merely the name given to a study seeking to fit pieces of the life-history puzzle together in the most sensible way. … Rather than defining evolution as Darwinism, evolution should be defined as the name man has given to the study of what God’s creativity looks like. God does not guide, mimic, prod, or adjust evolution as if it is an independent force that God must rein in. God creates. Evolution is merely the physical, chemical, and biological description of what that creation looks like (90-91). provide simple, concise overviews of both the development and current evidence for scientific claims most relevant to Creation in language that non-scientists can grasp (97). In order to be brief, here are some of the scientific claims that Dr. Davidson believes are credible: the “Big Bang” theory (99), the age of the earth is roughly 13.7 billion years old (107), the fossil record shows the obvious progression of life forms from simple to more complex (132), the Flood cannot explain the fossil record (132), and the common descent of man from animals (142). Transitional forms are now recognized for a large number of evolutionary pathways representing both large scale changes (e.g. amphibian to reptile; land mammal to marine mammal) and small scale changes (e.g. leaf eating mammal to grass eating mammal) (148). The general evolutionary pathway leading from reptiles to mammals, however, comes through clearly (151). It may come as surprise even to those who accept human evolution that there are now fossil remains from over 5000 different individual creatures that exhibit features intermediate between modern humans and ancient apes. … Well over a dozen different hominid species have now been identified that represent a broad spectrum of transitional forms (156-157). The belief that life originated from non-living materials is not derived exclusively from a commitment to materialism (recall that scripture tells us that the earth brought forth life at God’s command). Rather, the belief rises from the observation that the earth contains a distinct record of life forms through time that starts with very simple single-celled organisms that did not even have a cell nucleus. Give this record, it is logical that there may have been some natural, God-instituted processes at work that could have produced these first cells (152). Young earth proponents start with the presupposed truth that the days in Genesis 1 were intended as a literal rendering of the creation events. As such, evolution must be false and the earth must be young. All examination of evidence must demonstrate this position. Two types of people emerge from this starting point. One type honestly argues scriptural or scientific evidence, though in my opinion make mistakes based on a faulty understanding of both scripture and science. … There is a second type that is more disturbing. To this group, the truth of special creation is of such importance that the truthfulness of arguments used in its support can be justifiably twisted if it leads toward belief in the ultimate truth of creation. The loose affiliation shared by these people make up the membership of a creationist cult, where the God of creation has been replaced by worship of creation events rather than the Creator. All is done in the name of Christ, but employing methods grossly inconsistent with Christian character (emphasis original, 165). The purpose is to demonstrate the different ways in which information is presented to make something true sound ridiculous, or something false sound quite plausible (166). This example promulgates the false assertion that creation and evolution are inherently opposite worldviews between which one must choose. … If God created through a series of generations, evolution is simply the name scientists have given to the study of God’s workmanship (167). Hypothesis: Humans share a common ancestor with chimpanzees, human and chimpanzees share a more distant common ancestor with gorillas, and all apes and humans share an even more distant common ancestor with monkeys. If true, DNA markers consistent with common ancestry should be more prevalent between humans and chimps than between chimps and monkeys (171). Result: The greatest similarity (number of similar disabled sequences located in the same positions) is found between humans and chimps, less between humans/chimps and gorillas, and least between apes and monkeys. … The result of this test offers strong support for shared biological ancestry with the rest of God’s creation (172). Life obviously changed in a step-wise fashion over time, but the complexity of the developmental pathway and the incomplete nature of the fossil record means it will not always be possible to firmly establish exact lineages between ancient and modern organisms (emphasis original, 199). If God truly created as young-earth proponents insist, we are left with the conclusion that God must have intentionally created in such a way that the story told in the earth’s layers would appear different than what actually happened. Yet God assures us in Romans 1 that his character is evident in his creation (206). If the best interpretation of Genesis 1 and 2 is consistent with what modern science now tells us about the age of the universe and the adaptive development of life over time, what could be the consequence of rejecting it? At the very least, there are three (233). One consequence will be a failure to recognize and be awed by the magnificence of God’s creativity when we see it. With each new fossil discovery, we should be captivated by and enjoy the incredible artistry manifest in the ability to bring life from non-life, and to create new creatures from old. … Instead, each new find is met with reactions that may range from disinterest to disdain (233-234). As each new scientific discovery is revealed that fits the evolutionary model, there will be a growing sense that God’s creation does not adequately reflect his authorship. God appears to be allowing his natural creation to tell a very convincing story that is entirely wrong. This cannot help but influence our view of God’s character. We will be forced to rationalize the the righteousness of a God who designed his natural creation to intentionally lead astray all but those willing to deny the story it yields (234). The third consequence is the most sobering. When talking with questioning materialists, we will unwittingly become an obstacle to their path to faith. They will be looking at God’s workmanship while denying the Creator, and we will insist that to acknowledge the Creator they must deny his workmanship! Can there be a more ineffectual witness? How much better to simply open the door to show how the very work they see carries the signature of its author (234). In conclusion, Dr. Davidson sees no conflict between evolutionary science and Christianity. He accepts the scientific claims for the origin of the universe, the age of the universe, the evolutionary origins and development of life, and the common descent of man from animals. He believes very strongly that YEC represents both bad science and bad theology. According to him, it is not merely another equally valid way to interpret the Scripture and the scientific evidence, but rather a “stumbling block to the faith” and a “failure to recognize and be awed by the magnificence of God’s creativity.” The logical conclusion of Dr. Davidson’s arguments is that there is no room for YEC in evangelical churches. Just How Big a Tent Are We Talking? After a quarter-century as OPC I moved on to the PCA. It was a good move. I think it put me among people who knew more clearly what things were really important and which weren’t. But another quarter-century has gone by! Finally, finally many are leaving the PCUSA, the church where I heard the gospel and believed. But they aren’t coming to the PCA. They think about us they way I thought about the OPC! What does that mean? Where do I belong? Could we all belong together, after all? From what I can tell, many of the churches leaving the PCUSA still disagree with the PCA about the ordination of women and the inerrancy of Scripture. These are just two of the many reasons the PCA was formed in the first place. I’m not sure what kind of tent would be necessary to hold us all.